You can see why it is slow knitting; it is densley cabled, and the pattern is intricate and not easily memorized, with lace inset into the cabling. I also find that the yarn, Brooklyn Tweed’s Shelter, is hard on my fingers, and because of this I can’t knit on it for long. I should point out at this junction that I have already washed and blocked the sleeves and discovered that the Shelter transformed beautifully after washing. I will have to finish this jacket, and wear it for a bit, before I can make an appropriate judgement on this wool. Despite knitting on this for months (almost three of them) I still have about a third of the skein left to go. I had Doug snap the photo below so you can get a sense of the current size of this. For some reason, I seem to be glaring at it unhappily. I am trying to emulate the tortoise – slow and steady wins the race, slow and steady wins the race. On the other hand, it’s not a race. Fortunately, I just do this for fun. I can knit whatever I please. Maybe casting on something new (or dreaming about it) is the knitting equivalent of stopping and smelling the roses? 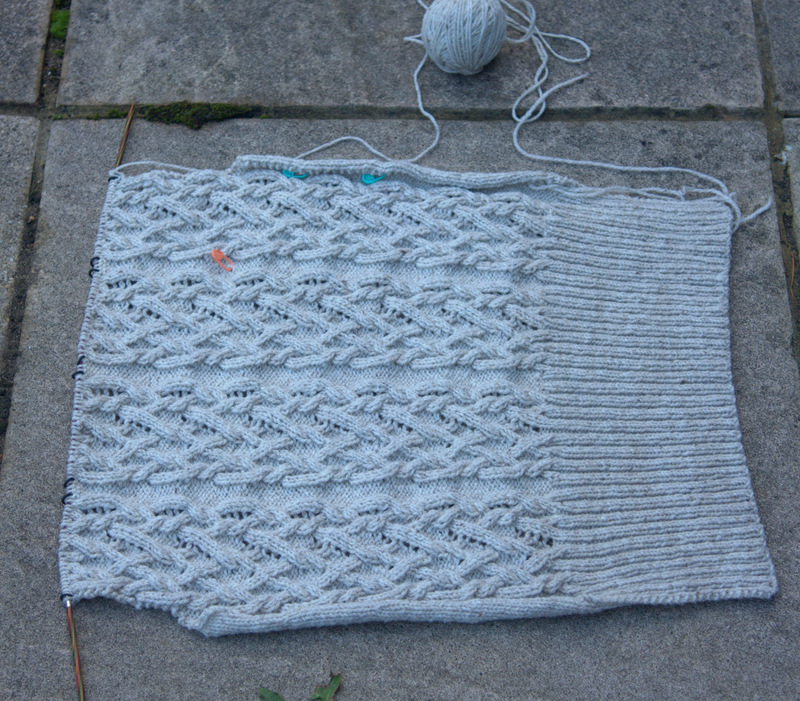 Stay tuned to this space – sooner or later, I’ll finish knitting something. 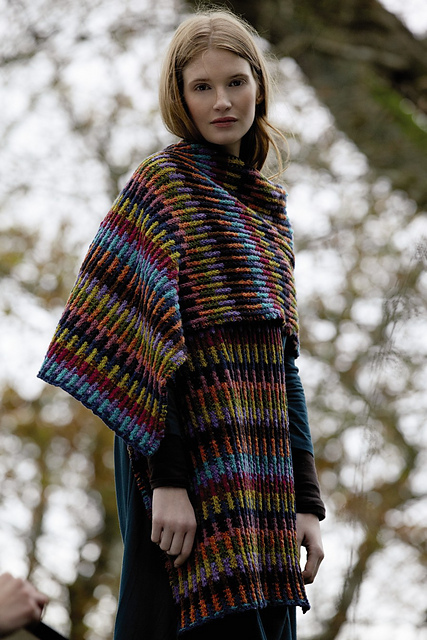 This entry was posted in Main and tagged Exeter Jacket, Knitting, Soumak Scarf Wrap, Viajante shawl by knitigatingcircumstances. Bookmark the permalink. Of course, if you cast it on, I might be forced to reconsider my stance! I’m happy I frogged my Viajante. 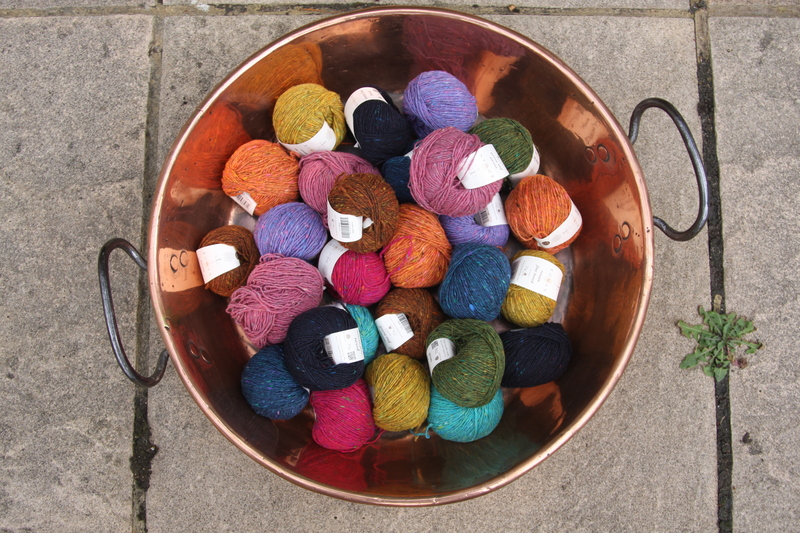 (No word of a lie – it measured 42″ – I had completed 2 skeins of Mad Tosh Merino Light!) My Mad Tosh is much better served knitting up Joji’s Boxy and Buttony. Joji sure knows how to write a pattern. I’m hoping to join my sleeves this weekend, then it will be all circular knitting all the way down, which will be a treat considering all the short rows this sweater has. All that said and done – I feel your pain regarding these interminable, sometimes infernal projects, as well as the urge to start a “quick and easy” filler project, as I’ve dubbed those little projects that distract us from other tasks at hand. 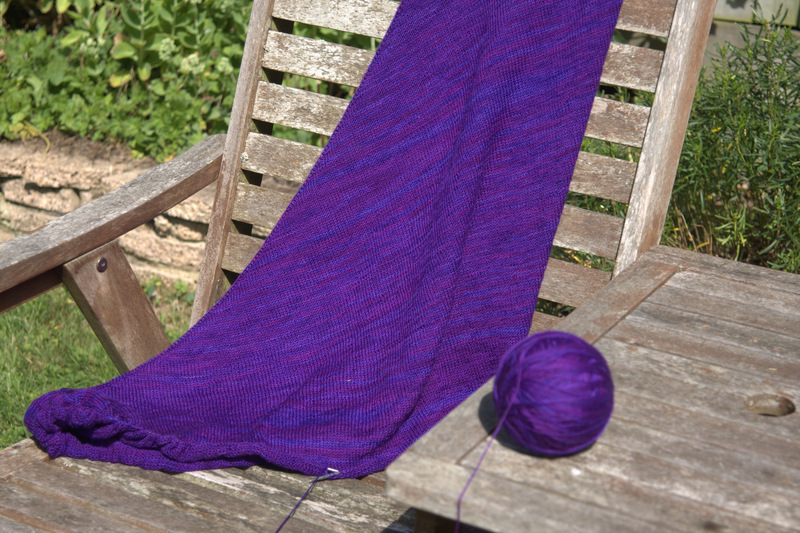 Both your Exeter and Viajante are coming along beautifully! 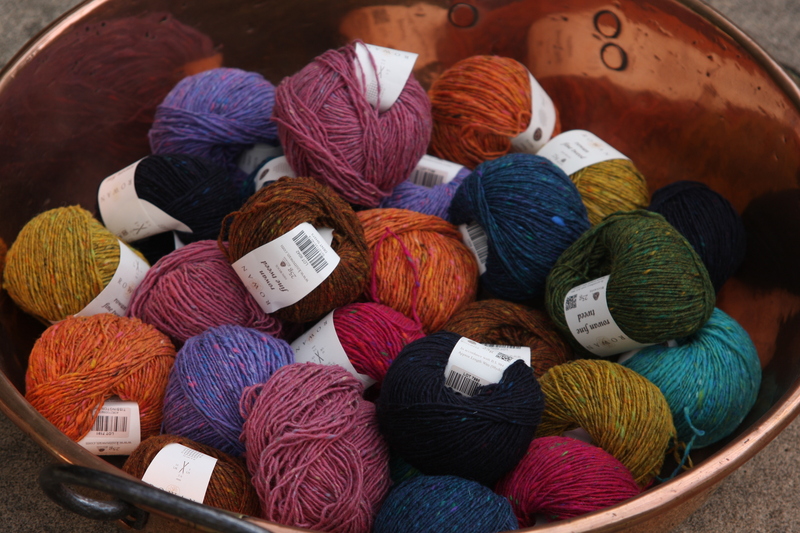 Just keep plugging away, says this fickle knitter! I think you will be happier with the Boxy and Buttony, particularly with the Composition Book Grey, which I think is better suited for a sweater. I am trying to hold off with the Soumak for a few weeks, so maybe we will cast on together! Keep on keeping on! The jacket is fabulous! It would have been unrealistic to think you would finish that in a short time. Too complex. Perhaps you should finish the jacket before casting on another endless project. Thank you for the cheerleading and good advice. I know it will be fabulous if I can ever get it done; it is such a gorgeous pattern. Oh My Gosh! If you do cast on the wrap before finishing your other 2, you would potentially not finish any of them, EVER! What a lot of hard work but they all look beautiful. Ha! This really made me laugh! If I’m not careful this could be true! I love the new yarn! Colors are beautiful! They are really cool colours. Especially now, when the Fall has arrived. I think you’ll find the Soumak to be much quicker. Very addictive, I hear! You’re probably right, Dayana. There is something very addicting about colourwork in general. You always want to add just one more colour before you put it down. That pile of tweed is super-enticing. I’m not sure I could resist it either. 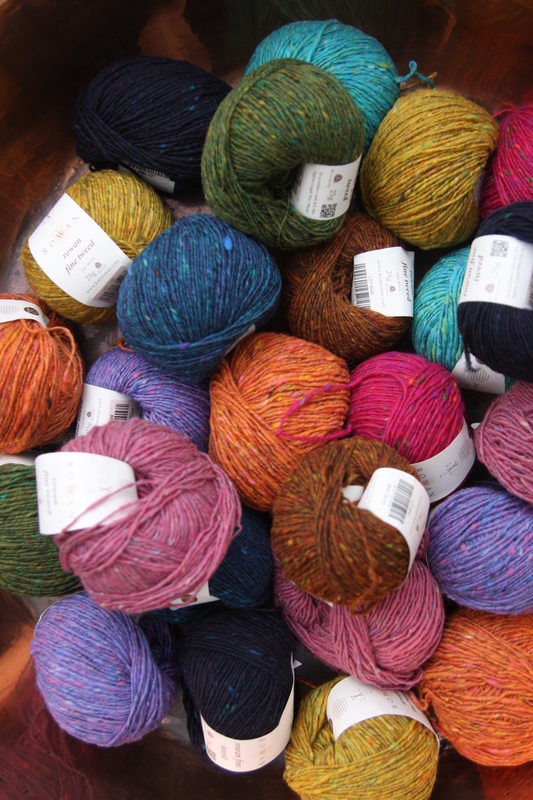 You’ve convinced me that I need to buy the yarn for Exeter. It’s just too fabulous. Oh no! I am sure that you will finish the Exeter before me, even with my 6-month head start! I can’t wait to see yours; I am still positively drooling over your dragon sweater. 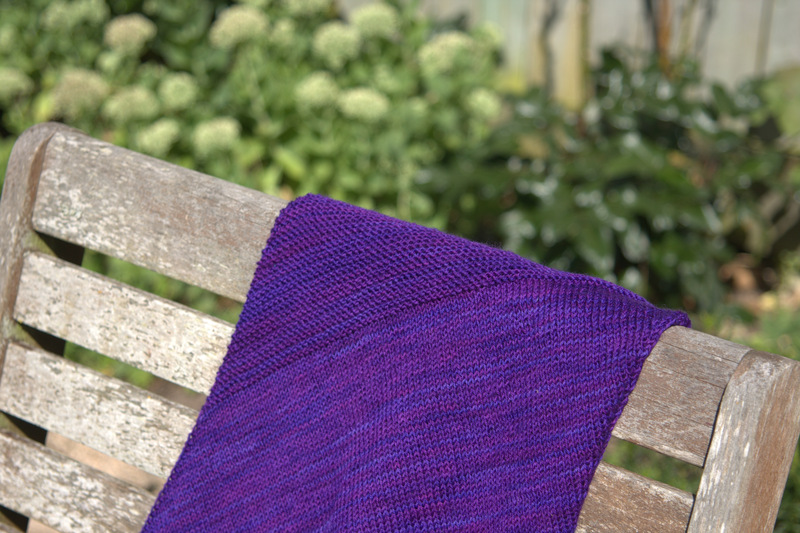 I think Slow & Steady is about the only way to go about such a jam-packed with cables sweater as this ! No guilt , feel proud…it’s most awesome. Thank you so much. I could use a cheering section with this one!